We are going to meet the next full moon on April 19 which is called pink moon. 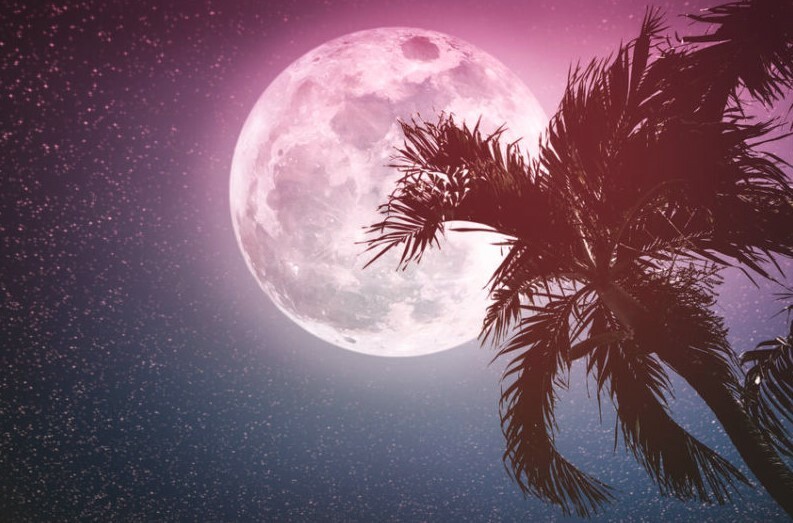 The Pink Moon, also known as the April full moon including the eerie Super Worm Moon in early 2019. This April full moon will be fourth full moon of the year. On Good Friday, the full Pink Moon will be visible from multiple spots on Earth, including North America, where astronomers can see the pretty sight at 7:12 a.m. EST. According to space.com “The moon will be three days past perigee, the point in its orbit where the natural satellite is nearest to Earth, so it will almost be a “supermoon,” appearing larger than average. Supermoons happen when the full moon coincides with perigee, but the difference in size even for these “super” satellites is usually too small for any but the most careful observers to notice”. The moon will be in the constellation Virgo. (Virgo is one of the constellations of the zodiac. Its name is Latin for virgin, and its symbol is ♍. It is the second-largest constellation in the sky (after Hydra) and the largest constellation in the zodiac. It can be easily found through its brightest star, Spica). According to NASA’s Goddard Space Flight Center [The full moon occurs when the satellite is exactly on the opposite side of the Earth from the sun. The moon shines by reflecting the sun’s light, unless its orbit carries it within the shadow of the Earth, resulting in a lunar eclipse. That won’t happen in April; the next lunar eclipse, in which the Earth’s shadow partially covers the moon, will be July 16-17. That partial lunar eclipse won’t be visible from North America, but skywatchers in South America, Europe, Africa, Asia and Australia will see it]. What If Other Planets Were as Close as the Moon?